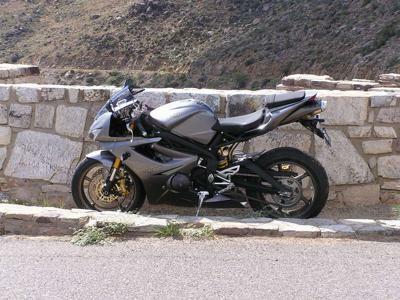 Is it Just Me or Are U Lusting Over the Daytona 675? BTW, will the forum be up soon or is it gone forever? Comments for Is it Just Me or Are U Lusting Over the Daytona 675? Wait 'til You Ride It! My boyfriend has had one for a couple years, just upgraded to the '09, I really liked it until I rode it, at which point I kinda refused to ride my Ninja 250. As a result, I brought home my very own Graphite one today! Brilliant!!! Try to find a dealer in your area that will let you test ride it, many of the non-Japanese bike dealers will let you do so. It will be well worth your time!